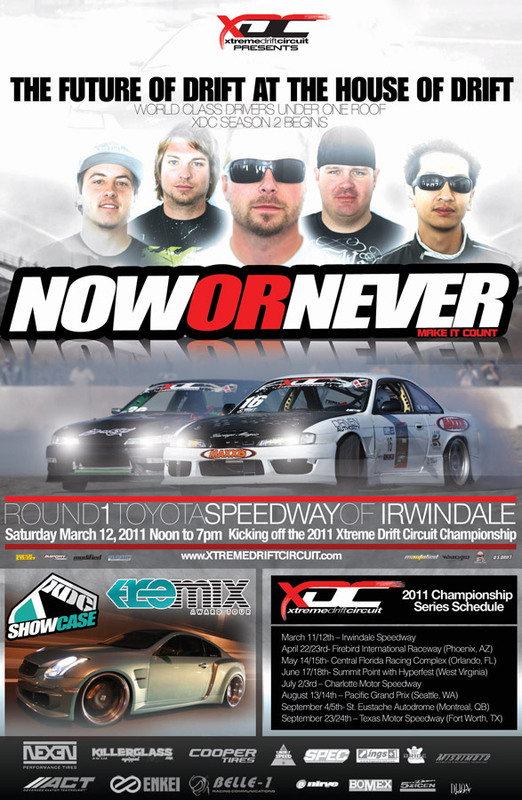 Xtreme Drift Circuit (XDC) will have its first round for 2011 at Toyota Speedway, Irwindale on March 12, 2011. 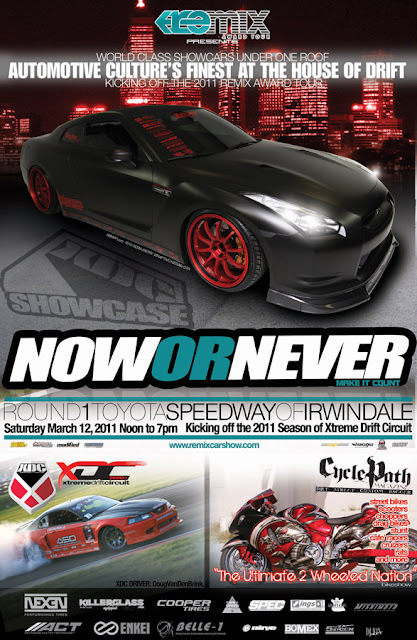 Aside from Championship Drift Competition, there will also be the Remix Car Show, bike show, and models' lounge. More info at XDC's website.